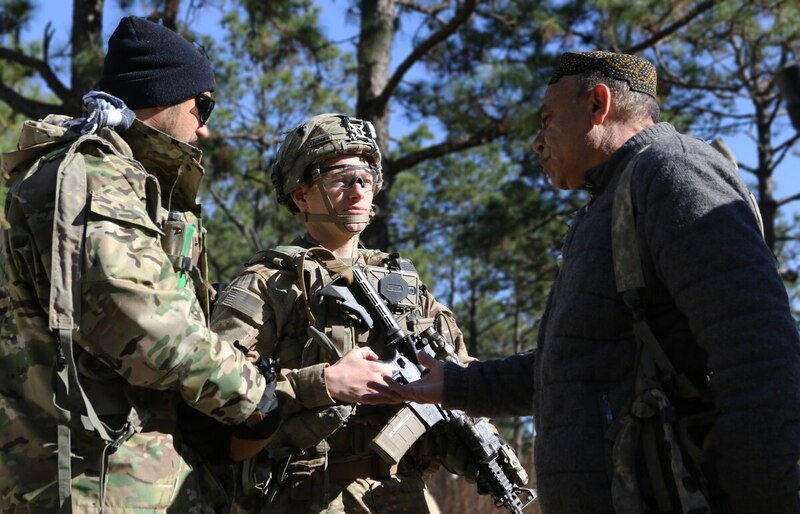 During a training scenario at Fort Polk, Louisiana, in January, a small Army team simulated a difficult mission in Afghanistan. Their job? Accompany an Afghan kandak – similar to an American battalion – through a small village to ferret out a financier with an outstanding arrest warrant. The team worked to negotiate with village police and elders, who were friendly but not necessarily helpful, to search for their man. The exercise was similar to real-world scenarios in Afghanistan that could leave these small teams in austere environments. But given the size of these so-called combat advisory teams – smaller than a platoon, though exact numbers are withheld for security reasons – communications were critical. In a real-world scenario, teams like this would need basic capabilities to track friendly forces and to communicate with each other, their Afghan teams and higher headquarters. They also would need to call for close air support or medevac if personnel are injured, especially as they are often on the front lines with Afghan personnel. (In this scenario, one U.S. service member was wounded while there were multiple Afghan causalities and killed in action). This scenario and eventual deployment of this unit could be a harbinger for how the Army equips other communications and technology gear moving forward. Already, the service is in the throes of a major review of its network and comms gear, leading the Army to pause its $6 billion tactical network – the Warfighter Information Network-Tactical. Instead, it will outfit units with the current second increment of the program, one that provides some communications capability on the move as opposed to at the halt. Following this review and other internal assessments, the Army has decided to stand up a new Modernization and Futures Command to improve the quality and speed of delivery and new materiel and capabilities to the war fighter. Now, given that technology trends shift so quickly, Army leaders are looking at examples like the brigade at Fort Polk as way to purchase smarter and provide units with improved capabilities. The unit from the Fort Polk event, the 1st Security Force Assistance Brigade, or SFAB, stood up in August 2017, and is a first-of-its-kind for the Army. The unit, which deploys this spring, is considered by some to be a key pillar to America’s Afghanistan strategy in building proficiency with local partners. Because its sole mission is training, advising and assisting, the unit’s make up in terms of personnel and equipment is different from traditional brigades. As such, the Army has had to take a different tact in providing communications and network equipment. 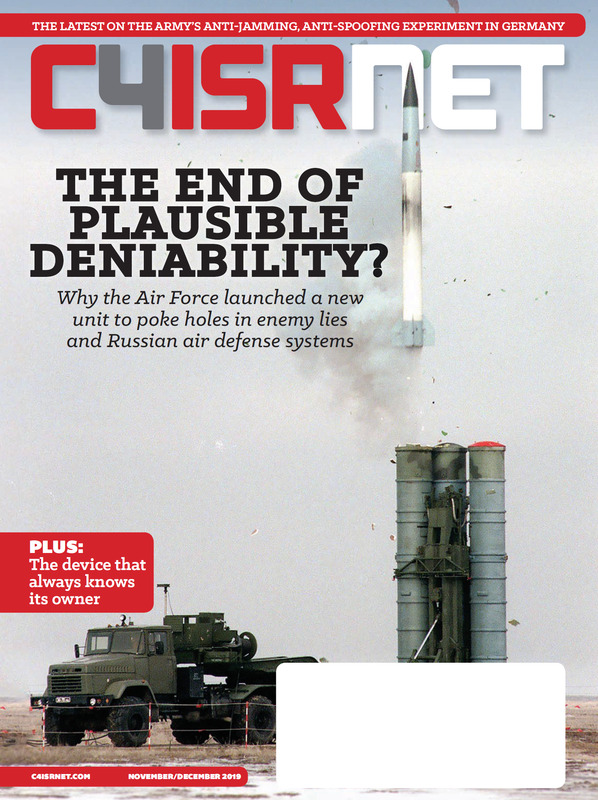 This notion of user simplicity is something the Army is pursuing broadly for systems it deploys. That characteristic becomes especially important given contractor field service representatives will not be deployed right by their side as they were in previous years. Within the modernization command, the Army has established cross-functional teams that will work to improve the quality and speed of delivery of new capabilities to soldiers on the battlefield. Both the program side and the network-focused cross-functional teams are looking at the SFAB as a potential way forward. In recent months, Army leaders have used a few mantras to describe a new networking acquisition such as “adapt and buy” and “buy, try, decide.” The idea, Army leaders say, is not to make new systems internally, but rather leverage what’s available either commercially or within the joint community, then adapt it to Army needs and evolve it as necessary based on user feedback and future missions. Moreover, the Army is trying to understand what the minimum capabilities warfighters need as a way to simplify the requirements and fielding process of systems and architectures. Here’s where the specialized SFAB unit comes in. To help equip the team on their unique mission, the Army is using commercial systems along with capabilities from special operations forces and conventional Army units. The network cross-functional team wants to know if, from this experience, there are lessons that can be applied to traditional Army units and if the solutions for SFAB can be scaled to larger echelons. “Internally, I would say the biggest requirement and the thing we work through the most, is a lot of the same capabilities and capacity that would normally reside at battalion level and definitely brigade level gets pushed down even lower now,” Jackson said. Some of these capabilities include Secure Internet Protocol Router Network/Non-secure Internet Protocol Router Access Point, or SNAP, and the Global Rapid Response Information Package, or GRRIP, which both provide communications and satellite communications connectivity. GRRIP is a capability for very small units that are first on the scene and it fits in a suitcase. SNAP must be transported by a vehicle or helicopter. The SFAB, for example, doesn’t have the kind of networking capabilities found in traditional brigades, such as the Joint Network Node, which supports high-speed wide area network capability for secure voice, video and data exchange, due to its large size. The Army, in outlining its vision for their network architecture going forward, has charted particular standards that can be used at various echelons and could be tailored based on mission need and theater. The Army is trying to use the spring deployment of SFAB to Afghanistan as an educational effort to inform how it can both equip similar teams in the future and conventional Army units. The Army’s goal is to eventually have six SFAB units that can be sent to geographic theaters around the world on advise-and-assist missions, but the future of these units is still uncertain to some degree. And how did the day end for the specially equipped SFAB team working with the Afghan troops at JRTC? After the initial sweep of the village turned up empty, the team finally found the hidden financier.